In the 1970s and '80s, it was reported that mold contamination caused poor indoor air quality in 5% of 500 indoor air quality tests performed by NIOSH. Later in 1986 to 1996, that percentage jumped to 35-50%. An air tight home without proper ventilation and air circulation keeps moisture in. Since mold thrives in moist conditions, this makes the perfect incubating environment. In humid climates, mold growth is a problem both outdoors and indoors. Indoor air quality testing can determine the quality of the air in your home and pinpoint any mold, mildew, or algae problems. Mold has been found to grow in dry climates as well. The EPA has conducted research on what conditions permit mold infestation since 1991 with focus on properties, climate, and microorganism interaction. The results show that very small amounts of moisture will permit mold growth. Dry climates are not immune to mold infestation but do experience fewer problems with it. Having toxic mold in a home or work environment affects individuals differently. While some will get very sick, others will have reactions like nose, eye, and throat irritation. Others with asthma will have sudden worsening of COPD symptoms including shortness of breath and changes in quantity and color of phlegm. 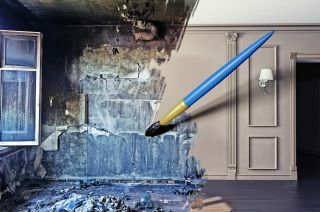 For some, exposure to mold is only an irritant, but for others who are more susceptible to disease can have severe and long-term or permanent health problems. Mold exists everywhere on our earth both indoor and outdoors. Molds are fungi. There are some tens of thousands of fungi species, but no one knows how many truly exist. P. roqueforti or Penicillium roqueforti is used for cheese making. Rhizopus is used in the production of the drug cortisone. Some molds are used to produce oxalic acid, citric acid, alcohol, and other chemicals. Aspergillus flavus has been used in china for various cheeses and soy sauce for centuries. Not only can indoor air quality tests discover toxic molds in your home, they can also find Radon, VOCs (volatile organic compounds), Asbestos, and NO2 (nitrogen dioxide). Having a professional Charleston Mold testing contractor perform indoor air quality tests will show you what problems you have with the air you breathe every day or will put your mind at ease knowing your home has good air quality.